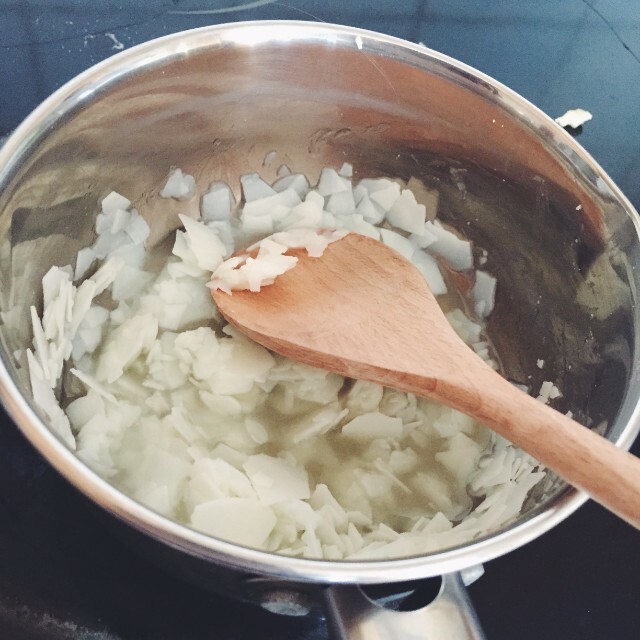 I've been looking forward to writing this post for quite a while now. I mentioned, what seems like forever ago now, that I had gotten a crafty opportunity courtesy of Sykes Cottages to try something on my bucket list. I got an email from the lovely Leanne and she explained that Sykes Cottages had worked alongside six very talented craft bloggers to create Simple Crafts: A Guide for Beginners. Simple Crafts: A Guide for Beginners is an illustrated graphic guide featuring six simple craft tutorials that are easy to make, inexpensive and use little specialist equipment – making them ideal to create at home or away. 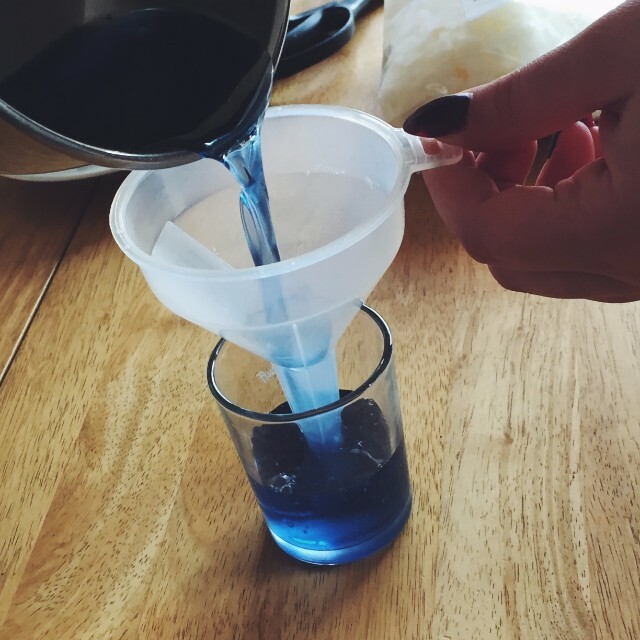 They were looking for bloggers to try out a couple of the crafts and share their results and their thoughts on them. 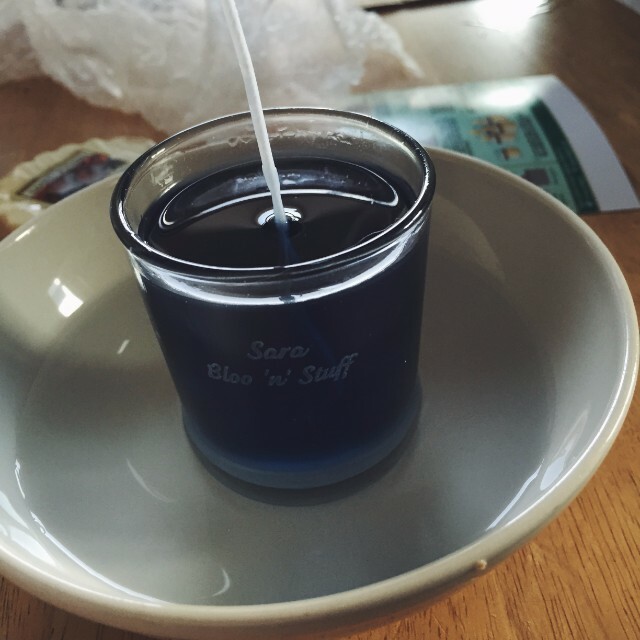 After seeing candle making on my bucket list she thought this might be right up my alley as candle making was one of the simple crafts. I was slightly overwhelmed as it's the first time I've been given the opportunity to do anything because of my blog. Let alone something I can tick off my bucket list that I have wanted to do for a long time! Naturally I jumped at the chance. A couple of weeks later I got a parcel in the mail. 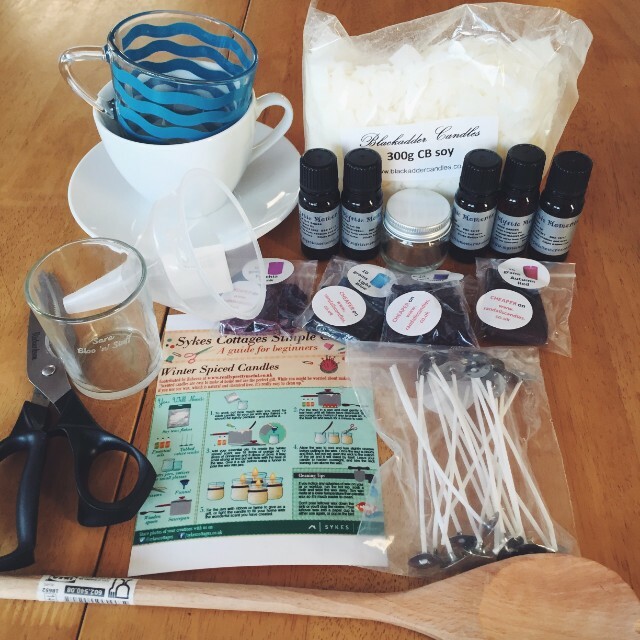 They sent me the equipment needed for two of the Simple Crafts, scented candle making and spiral earrings. 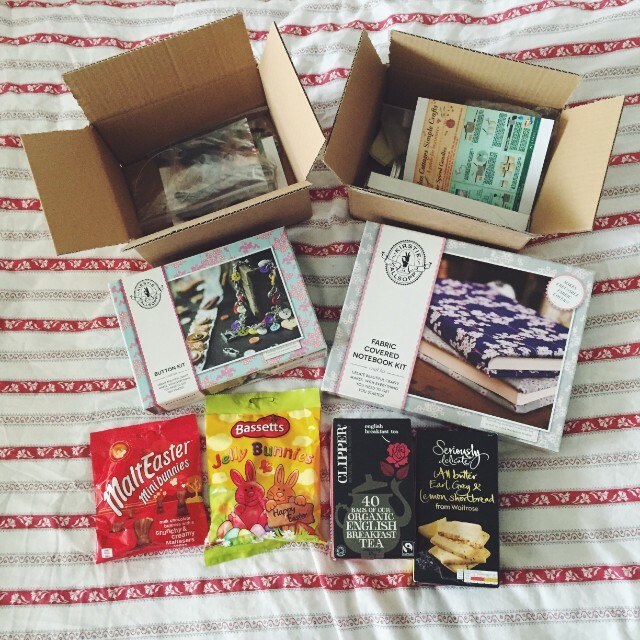 They also sent me a small budget of £10 for customisation and some other goodies. I was completely blown away. 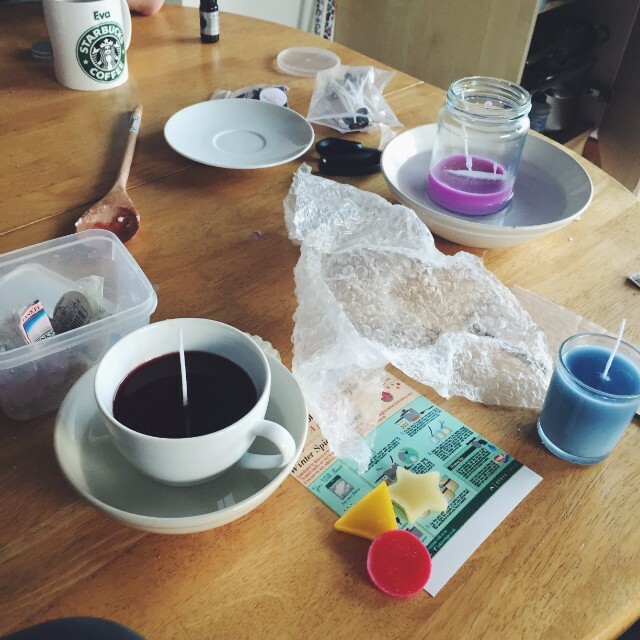 With my parents away last week and Eva off I decided that was the perfect time to get crafty and give the scented candles a go. Although these are simple crafts I figured I would need Eva's help for any heavy lifting of hot pots etc. Plus she loves crafting almost as much as I do. Above pictured are the candle making supplies sent my Sykes Cottages, the extra things needed like scissors and a wooden spoon and lastly the things I bought with the budget they supplied. I purchased a tea cup and a glass cup from IKEA. The tea cup was £3 I believe and the glass cup was £2. 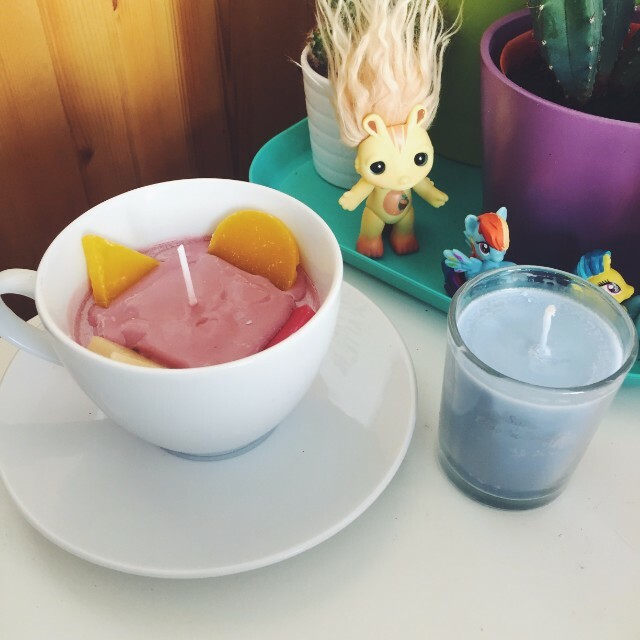 IKEA is great for attractive and affordable things to use as candle holders. I also purchased some wax dyes from Ebay. They cost 99p each. This post is not a tutorial, it's simply how my experience went. 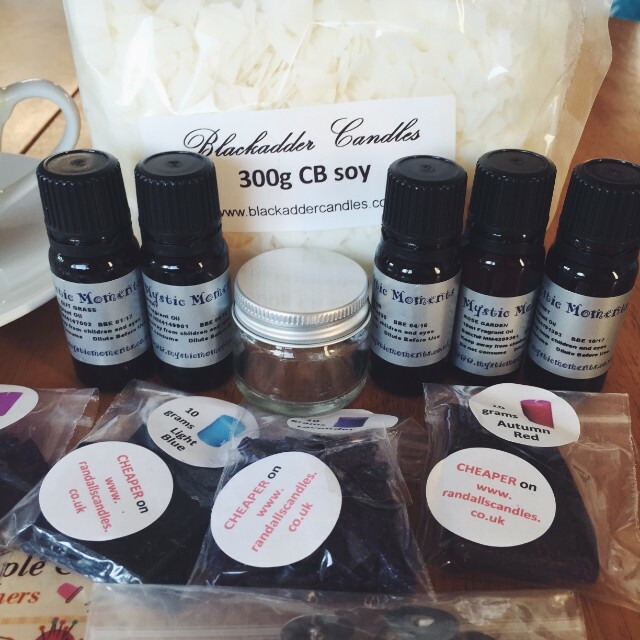 If you're interested in having a go at scented candle making or checking out what other crafts they have on offer, follow this link. So anyway! Once we had all our supplies ready we got started. I decided to get into my electric wheelchair, something I never do in the house, so I could reach the hob and have more of an input in my candles. 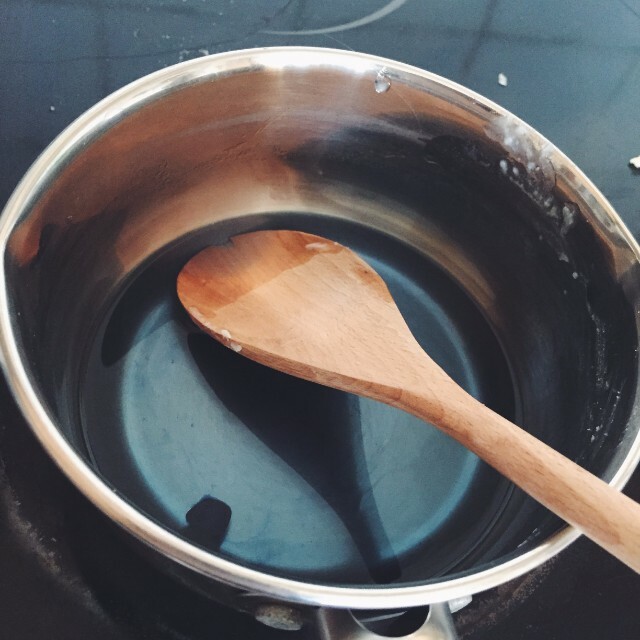 I'm glad I did because I actually really enjoyed stirring the wax and watching it melt down. I also enjoyed being able to add my own smells and judge how much colour I wanted to put in. Once it was all melted down and just how I wanted it, I had Eva pour it into the little customised glass Syke's Cottages sent me. This part I wasn't able to do myself because it was too heavy, but it was really the only part I couldn't do. 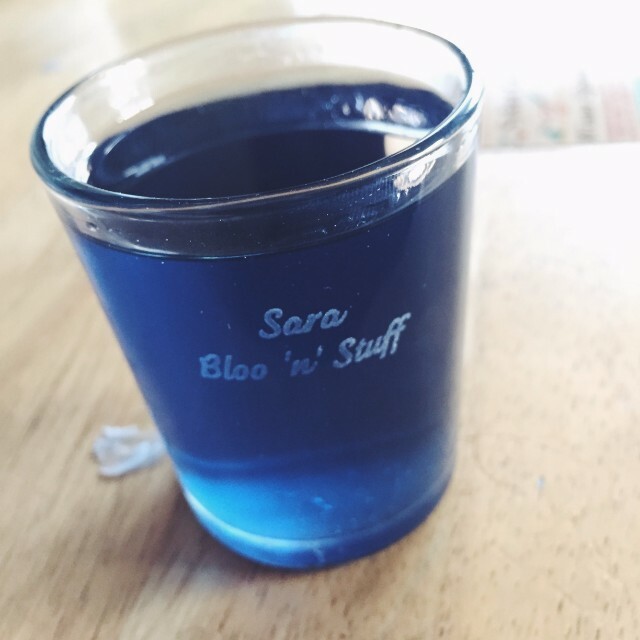 I was really excited to use the little glass as they'd had Sara and Bloo 'n' Stuff inscribed on it. I just thought that was a really lovely little touch and it's definitely something I will always keep. This is where we went off script a little. We were a little impatient waiting for the wax to start drying out so we could put the wick in, so Eva had the idea of putting the glass in a cold bowl of water. The bottom started to dry out and I was able to put the wick in a minute or so later. What can I say? I was looking forward to moving on to candle number 2! 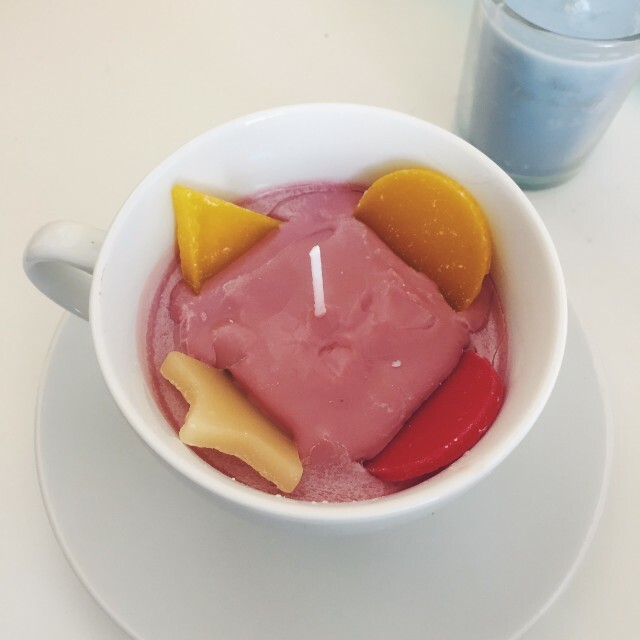 Candle number 2 was my tea cup candle. 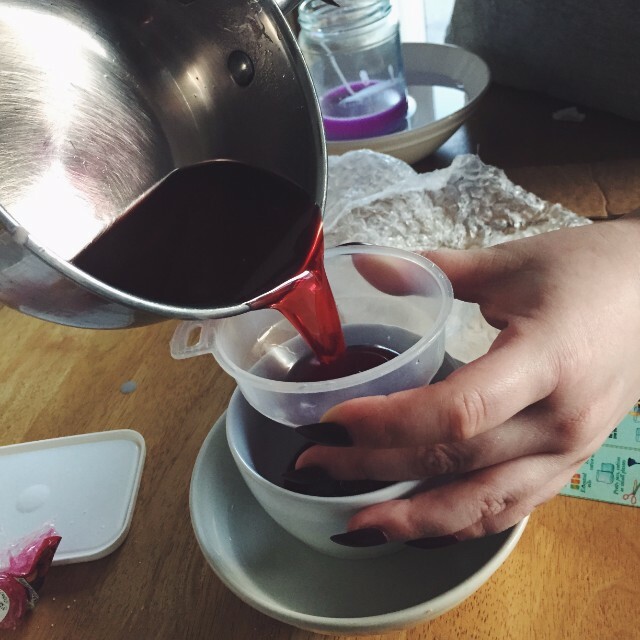 I had bought a tea cup candle before from Bomb Cosmetics so I was looking forward to making my own. I repeated the process, this time using red colouring as I picked the strawberry smell this time. Eva then poured it into the tea cup. 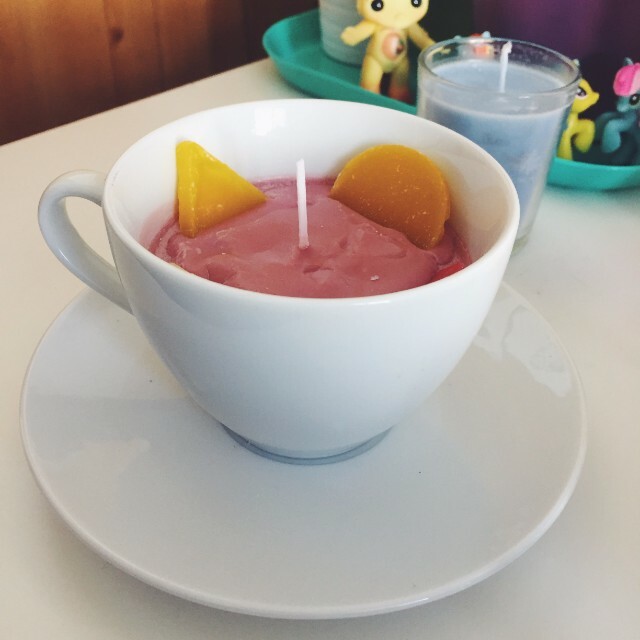 This time it was a little harder to judge when the bottom of the candle was drying out and when to add the wick. Luckily I was able to manage it okay. I decided to decorate my tea cup candle I would use the little wax hotties from Bomb Cosmetics, much like they did in the tea cup candle I got from them. I kind of misjudged it and the result didn't look too pretty. But I didn't beat myself up over it too much. I mean how it looks doesn't matter once you start burning it and it smelled really good. That's the important part. Here's some more photos of my final results. The final photo was taken just before I started working on this post. I'm burning them now as I write. The blue one smells of pineapple and the red one smells of strawberries mixed with the smells of the little hotties. I enjoyed making these so much. So much that I'm planning to buy more wax to make more very soon. I'd also like to explore different smells too. I like that they are a practical craft. They're not something that's just going to sit around taking up space. There also a lovely simple item to make as a gift for someone too. 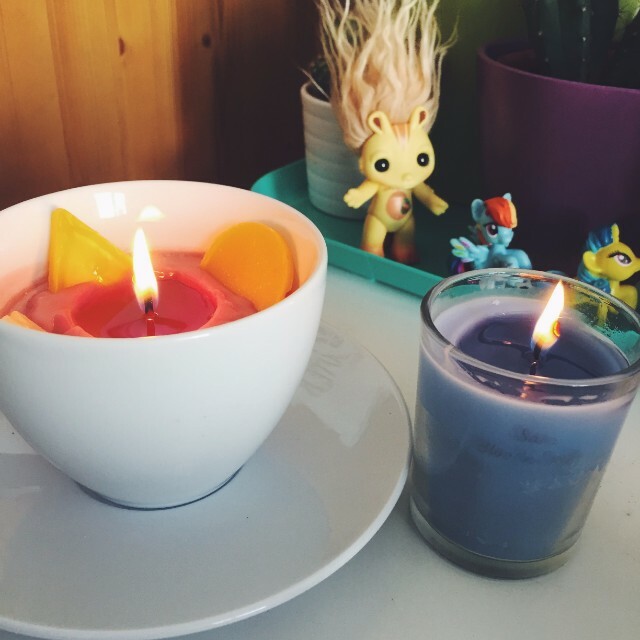 You could use smells, colours and even candle holders you associate with that person. So yeah, I would like to thank Sykes Cottages and Leanne for this opportunity. Another thing ticked off my bucket list! 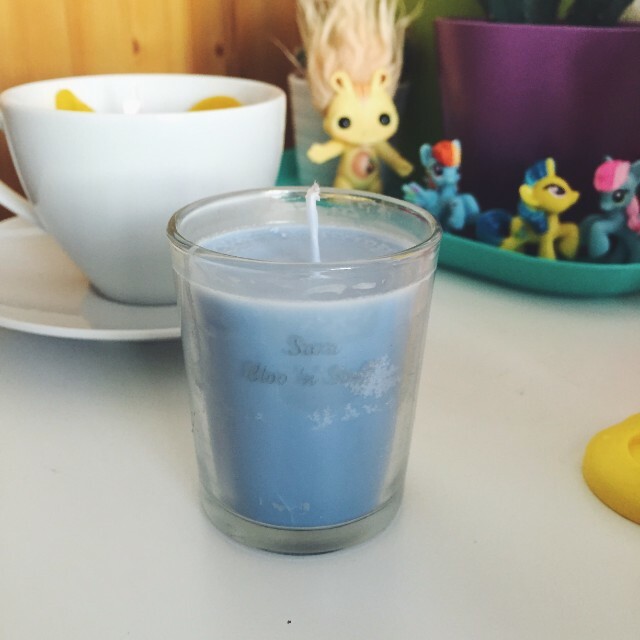 I would really recommend that anyone give these super simple scented candles a go if you're feeling crafty. Look out for when I try my hand at spiral earrings in a future post. What a fun activity! the candles look great! :) It doesn't seem too difficult to make, which is always a good thing. I'm glad you enjoyed making them and that they turned out so well. These would make perfect gifts for people, so much cheaper than buying candles.